It is so easy and everyone will love it. You can even make it a freezer meal. That way you won’t get sick of turkey left over, you can enjoy them. 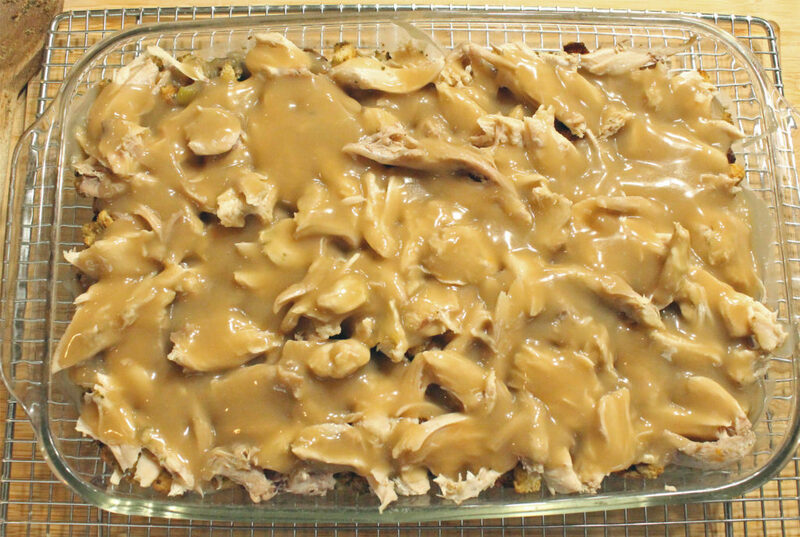 Butter and place the leftover Stuffing in the bottom of your favorite casserole pan. Layer enough Turkey to cover the Stuffing layer. It can be sliced, or if you prefer cut leftovers into bit sized pieces. If you are going to be serving it the same day pour Gravy over the entire dish. If your going to save it for another day, save the gravy in a separate container. Refrigerate or freeze. Freeze without the gravy. minutes or until heated through and gravy bubbles. 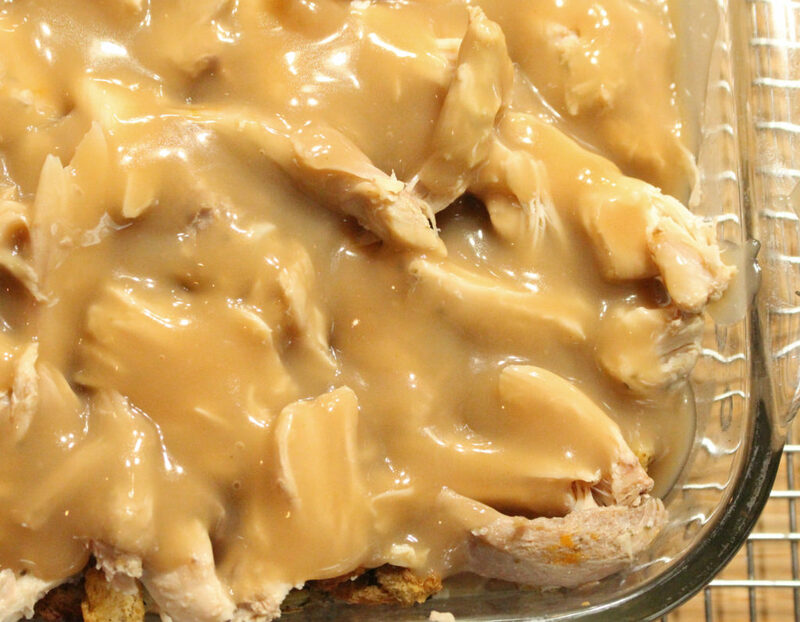 Prepare it for the freezer as you clean up your Thanksgiving dinner. Of course leave a few leftovers for snaking later in the day. It is a favorite in our family. Pinned this. It looks so tasty! I might just try it out before Thanksgiving. Thanks for the pinning. Enjoy! Oh…..I like the looks of this casserole. We dont like turkey any more, it has bothered my stomach for years and so have switched to stuffing a chicken. But yours sure looks good. Thanks for sharing on Oh My Heartsie Girl #WW.